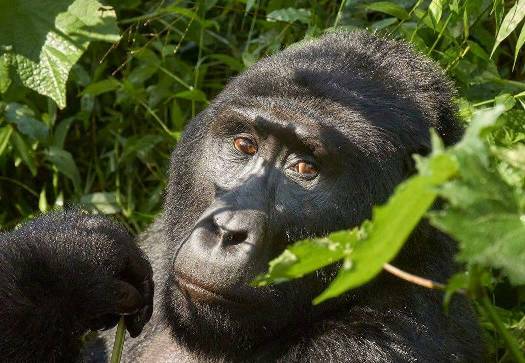 This Uganda Primate Safari brings you an encounter with the world endangered Mountain Gorillas and our close cousins the Chimpanzees in the forests of Bwindi and Kibale. 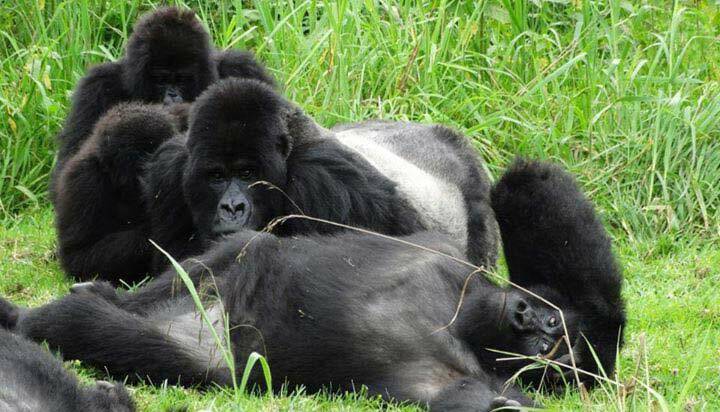 Bwindi Impenetrable National park is home to half of the remaining mountain Gorillas in the World today and that’s why it is a popular Tourist destination in the World today. Kibale forest National Park is also called the home of Chimpanzees tracking in Africa, however, there are also many other primates (12 more species) such as; Coppery-tailed money, Blue monkey, Vervet monkey, Black and White colobus monkey, Red tailed monkey, Red colobus monkey, Olive Baboon, Thick-tailed bushbaby, Lesser Galago, to mention but a few also forest Elephants on a lucky day. For Bird watching enthusiast, this is one of the best tour there is in the world. The two forests of Kibale and Bwindi are blessed with multitude of bird species (over 500) that you can’t find anywhere else. With a good scenic landscape, large Tea and Banana plantations, beautiful explosion crater lakes and top of the world view makes this Gorilla and Chimpanzee trekking tour spectacular and adventurous. Best time to go for Gorilla and Chimpanzee trekking in Uganda is usually in the dry seasons: December-January and June-August. Inquire About this trip Now! 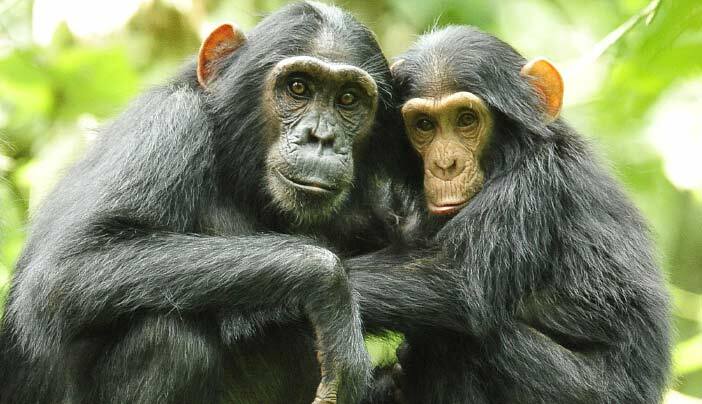 The number of Chimps in Kibale forest is about 1500 individual members, a number that keeps on growing every year. 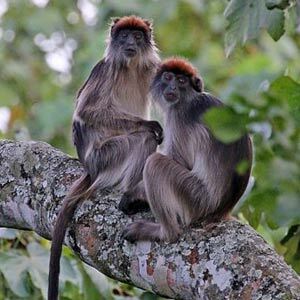 The Safari is an ultimate Primate and Birding Safari, the best there is and it is suitable for those with limited time but want to have a Gorilla and Chimpanzee trekking experience in Uganda. You meet our driver guide in the morning at your hotel/residence to kickstart our Gorilla and Chimpanzee trekking safari. The journey takes an average 5 hour journey to Kibale forest national park passing through major towns of Mityana, Mubende and Kyenjojo before being welcomed to fort portal by green cover of large Tea plantations. Women and men picking tea presents a good photography opportunity. We continue to the Lodge for lunch and in the afternoon we go for a Swamp walk at Bigodi wetland sanctuary, an adventurous nature walk for wildlife and community interraction. Here 4 primate species are available at this sanctuary and over 280 bird species including; the great blue turaco, Black and White casqued hornbill, White browed coucal, Ross’s turaco, grew backed fiscal, African paradise flycatcher, to mention but a few. Return to the lodge for dinner. After an early breakfast, you drive to Kanyanchu briefing centre for registration, briefing, grouping and getting a ranger guide who will lead a group of a maximum of 6 people into the forest for Chimpanzee Tracking. The length of this activity depends on the availability of fruits and food for the Chimpanzee but an average of 4 hours. Spend an hour with our close cousins before getting out of the forest for lunch, and a restful evening. With options of a village walk or a crater lake exploration walk. After breakfast, we drive to Bwindi Impenetrable forest National Park. You see people attending to their farms and garden, passing through big plantation of banana, cotton, maize and sunflowers when they are in season. The drive takes you through big industrialized town of Hima for Cement and Kasese for Copper before crossing to the southern hemisphere. A welcome sign to Queen Elizabeth National Park. Passing through Queen Elizabeth en-route toBwindi is a Game drive its self. A lot of game can be seen, such as; Elephants, Buffalos, Uganda kob, among others. We reach at the lodge in or near Bwindi forest in the afternoon, we have lunch, with option of doing a community walk in the evening. This is the long awaited Gorilla trekking day! After an early breakfast, you get the park offices. This where the Gorilla groups are allocated and after a general briefing, a Uganda wildlife ranger guide with two armed escorts will lead you in to the forest for the Trek. Equipped with enough drinking water, you are good to go, because the tracking can sometimes be long and tough, however, meeting the calm giants will heal the distance wounds. Spend an hour with the mountain Gorillas and return after the success of mountain gorilla tracking in the Impenetrable Forests of Bwindi. 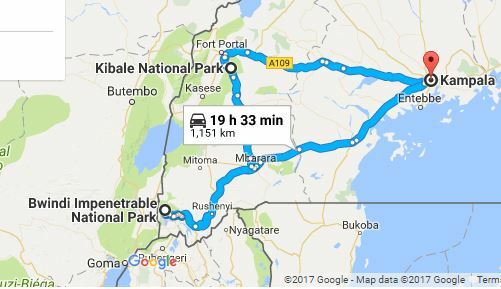 After breakfast, you will embark on 8-9 hour drive to Kampala or Entebbe, ending our Gorilla and Chimpanzee trekking tour in Uganda. We drive through terraced hills and mountains that gives an over whelming feeling toward the local people who are able to cultivate on the steep slopes. A lunch break in Mbarara “the land of milk” and a sight of the indigenous Ankole long horned cattle, continue to the Equator with the reminder that you are crossing back to the Northern hemisphere. This is a good place to buy Ugandan Souvenirs and a cup of coffee. Your destination from here is 1-2 hrs away. 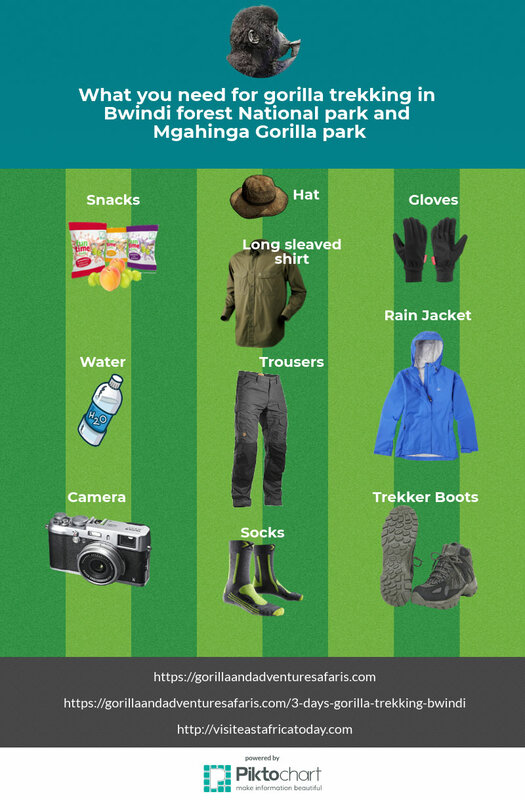 Just like Rwenzori Mountain Climbing, gorilla trekking also requires these items when tracking the gorillas. Water: Gorilla trekking can be very tiresome and you need to refill your tank as the trek goes on. It is advisable to park a few water filtration tablets before you come for the trek. 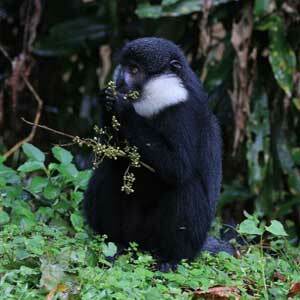 Find More Similar Primate Safaris Now! Thanks for this awesome tour itinerary. Can you email me the prices for 4 people on a midrange basis? Have sent you the quotes on the email already.